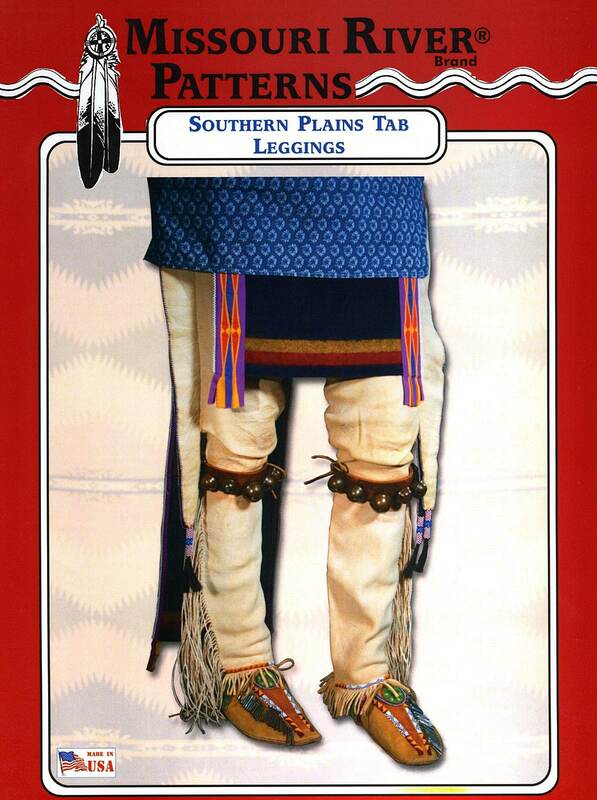 This style of men's Tab Leggings has its beginnings among the Eastern Woodlands and Great Lakes tribes, but, as they migrated onto the edges of the Plains, their new neighbors acquired many of their garment and decoration styles. From the resulting intertribal contacts, we find that, by the reservation period of the late 1800s, Comanche and Kiowa men were wearing their own versions of Tab Leggings, made from buckskin and incorporating hand twisted leather fringes. This style remains popular today with men of these tribes, as well as Straight Dancers wishing to dress in the Southern Plains fashion. 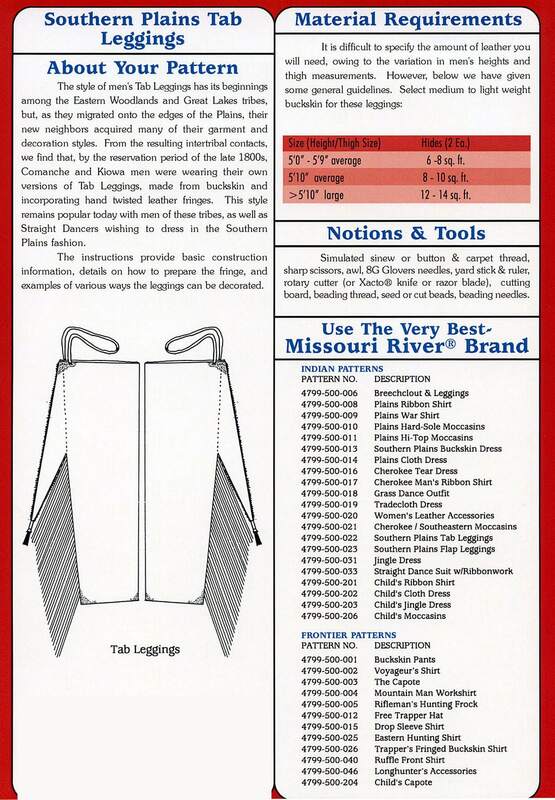 The instructions provide basic construction information, details on how to prepare the fringe, and examples of various ways the leggings can be decorated.